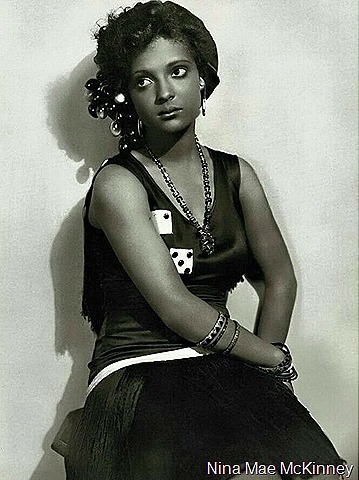 Nina Mae McKinney, above, was “toned down” for MGM’s movie cameras in filming “Hallelujah,” Harry Levette said. June 19, 1947: Harry Levette, a longtime Sentinel columnist, sports editor and publicist, reflects on the Lafayette Players. The Lafayette Players was established in 1916 by Charles Gilpin as Harlem’s “first black legitimate theater group,” according to the New York Times. Levette wrote that they arrived too soon to work in the current theater or in films, mainly because of Hollywood’s changing tastes in only casting actors with dark skin. Levette said: “Women and girls of Lena Horne’s shade of complexion were said to be ‘too light’; ‘will photograph like whites,’ etc. This entry was posted in 1947, African Americans, Film, Hollywood, Stage, Theaters and tagged 1947, African Americans, film, hollywood, Los Angeles Sentinel, Nina Mae McKinney, stage, Theater. Bookmark the permalink.